USA's #1 Spain Private Travel Experts... Your way since 1998.
founder & American resident of Spain. Intriguing & Delicious, Spain is an Enthralling Vacation Destination. Discover our handcrafted private luxury Spain tours, your way! All Magical Spain private tours are customized by our team in Madrid, Barcelona and Seville to fit your unique interest, energy and lifestyle. Opt for curated cultural, active, private northern Spain food or wine tours. Discover our curated Best of Spain 10 day private tour, tailored to fit your interest. See our best ideas here for 2019 custom Spain tours, your way. Discover our handcrafted private luxury Spain tours, your way! Savor insider experiences, Spanish cuisine, cultural trips or active fun. 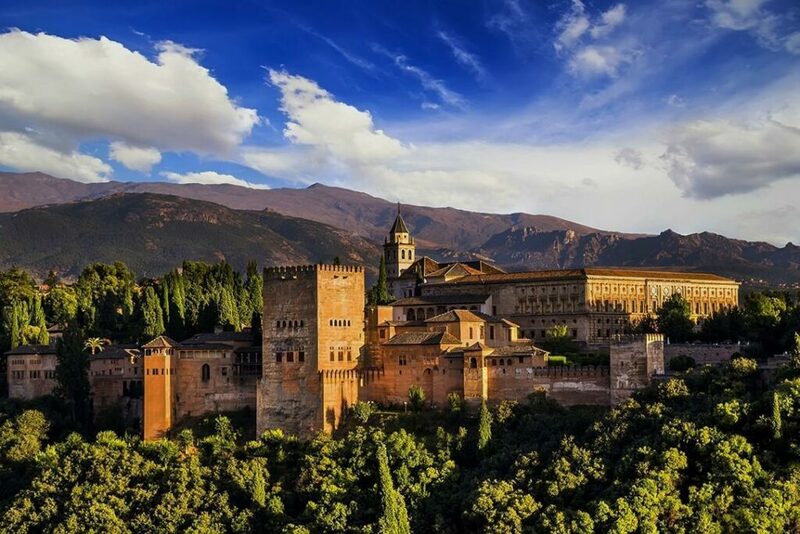 See Game of Thrones sites, medieval castles, Spanish art, a luxury Spain family vacation tour or a romantic Spanish honeymoon or anniversary travel. As a Spain tour & luxury travel agency, our availability is limited. 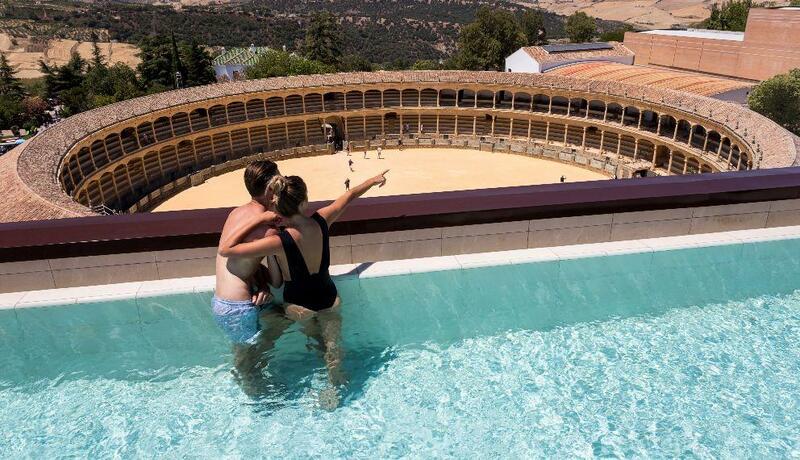 It’s “ first reserved, first served” for the best private Spain cultural trip with your family, friends, grandkids or romantic partner, your way. 2019 is booking briskly so for best availability contact us now. 2020 private MagicalSpain luxury travel and Portugal luxury travel tours are also available. See a sample of our curated ideas for luxury Spain or Portugal travel for 2019. Luxury Travel to Spain, Your Way! Discover the luxurious enchantment we provide our exclusive clients through our custom-made journeys into the enthralling charms of Spain. In the last 20 years, we have mastered the art of carefully hand-crafting exquisite private adventures that radiate festive fun, food and iconic experiences for groups of friends, families and corporate clients. Check Availability + Discover 2019 Spain Travel, Tours & Luxury Vacations. Our secret?… based in Spain our network of contacts and insider experiences is deeper than any other American agency. We love the Spanish people + the best luxury travel experiences, culture, food, wine and luxury hotels. This is how our expert Spain and Portugal travel team and growing network of insider access connections open doors for you to the rich world of Spain’s artisans, chefs, winemakers, craftsmen and cultural experts. Check Availability & Discover More! We provide our clients access to the best rooms in top luxury hotels, tables at the most desired restaurants, exclusive tours with Spain’s multi-lingual top guides, seamless and secure logistics, VIP transportation and more. Of course, we include round-the-clock 24/7 English language customer tour support throughout your trip. You enjoy more Spain your way, free of worry. Check Availability & Explore Options. We’d love to help personalize your journey into this enthralling world to match your interests, tastes and schedules. Yours might include Madrid´s phenomenal art collections and regal tree-lined boulevards — or secluded private wine tastings in the Rioja vineyards of world-class winemakers. Check Availability & More Info. Picture Spain’s old-world chic energizing your strolls through cobblestoned old towns, horseback riding thru olive grove lined hillsides, a guided pre-historic cave exploration — each followed by a succulent Spanish dinner to savor for a lifetime. Incentive trips to Spain, teambuilding business retreats or product launches are also popular here. Whatever your desire, we will customize a trip for you that assures a wonderfully unforgettable experience of Spain. Check Availability & Learn More. We have been based in Spain since 1998. 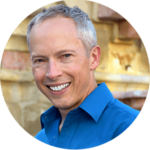 Born and raised in the USA, I founded and manage Magical Spain along with the expert advice of my savvy Spanish wife, Nuria a native of southern Spain and my team of Spanish and Portuguese travel planners, guides, drivers. Our insider amigos network includes Rioja winemakers, Madrid and Barcelona artist, antique collectors, chefs musicians, Spanish cultural experts and more….. Check out our past customers’ reviews. Splendid Spain is western Europe´s second largest country and routinely rivals Italy and France for numbers of visitors. This is another reason why expert travel and vacation tour planning is vital to ensure a seamless luxury trip of a lifetime. If you’re looking for the best of the best in Spain or Portugal, a once-in-a-lifetime experience to remember for decades, we’d love to talk to you about the possibilities in Spain or Portugal. Maybe you’re arriving by private jet, yacht, helicopter or first class flights to Madrid, Barcelona, Seville, Valencia, Mallorca, Lisbon, Porto or Malaga. We will make your time in Spain or Portugal seamless, personalized and stress-free. On arrival, our English-speaking driver will be waiting to comfortably take you to your luxury hotel. Later after you relax, one of our expert local guides we’ll meet you in the lobby and give you a personalized orientation and walking tour of the historic area if desired. Along with tailor-made private Spain tours and luxury travel, you can a romantic honeymoon or anniversary trip. Businesses are welcome also for any type of incentive trips, strategy retreats or maybe an exclusive corporate team-building event, made-to-fit. This might include active or cultural fun, Spanish vineyards, historic castles, modern luxury hotels and chefs to cook just for you and bookings at the top restaurants like Enigma and tapas bars like Tickets, if desired. Let’s not forget the charms next door. Sunny Portugal, sits on the left flank facing outward to the Atlantic ocean, with open arms, regal history, great food, architecture, nature, and wine. Private Luxury Spain Tours can include an extension to lovely Lisbon, Sintra & wine-soaked Oporto to the beautiful Algarve coast and medieval villages of the rustic Alentejo, Portugal private travel is timeless tradition, medieval villages, & exclusive insider experiences. Enjoy luxury hotels, VIP treatment & insight of our experts on a luxury guided tour of Spain & Portugal. 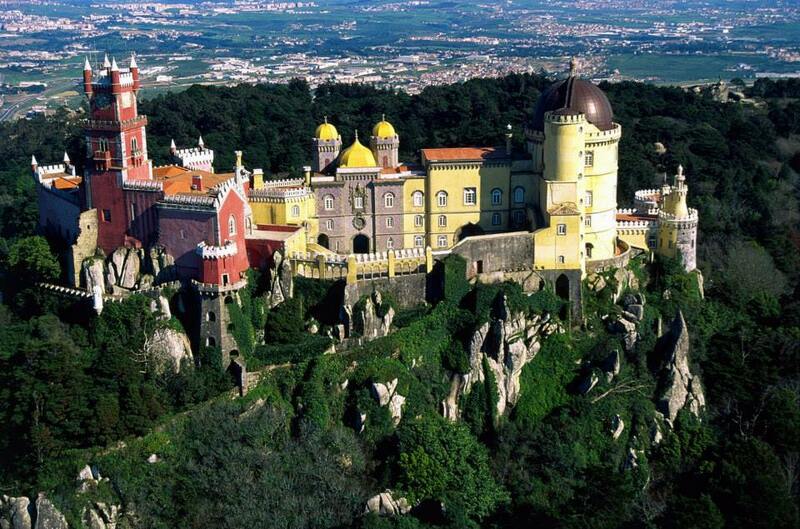 Custom private luxury Portugal tours with Magicalspain.com vacations. Magical Spain can create an exceptional customized food and art tour of Spain your way. 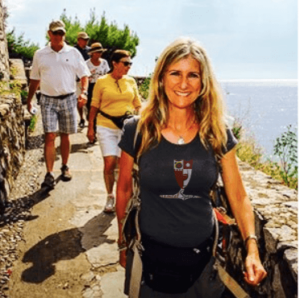 You may be searching for a wellness experience, a private luxury tour Spain, a Spain active cultural family trip, a private gourmet wine travel tour for foodies. If so, get in touch today either through this express form. We don’t just provide luxury custom travel to Spain for Americans – our client base now comes from around the world. Create your own highlights of Spain and beyond with Magical Spain. 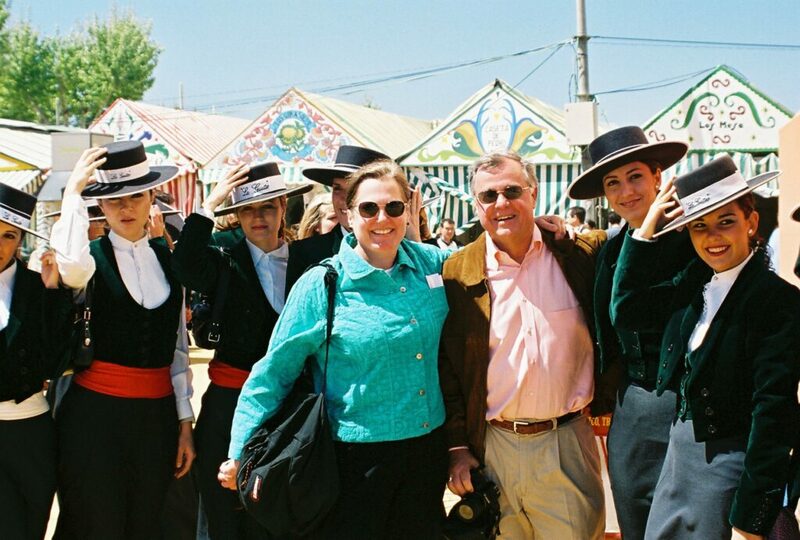 Since 1998, thousands of Americans have done private Magical Spain luxury trips. Choose from curated cultural, active, private Spain food or wine tour experiences. Discover our handcrafted private 2019 luxury Spain tours, your way! 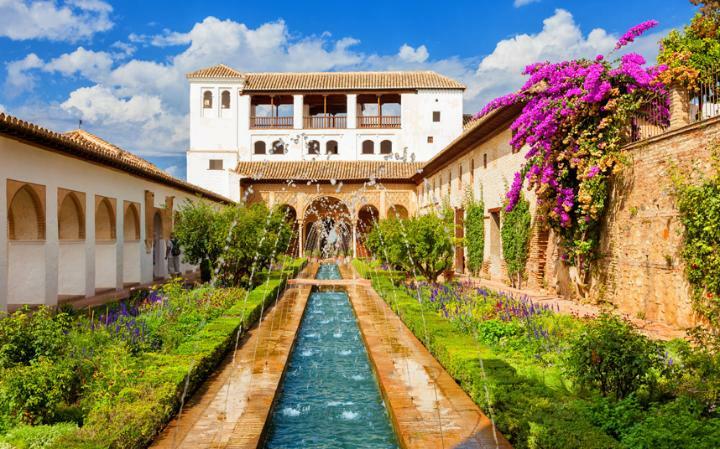 Savor fine Spanish cuisine, cultural trips or active fun touring, medieval castles, Spanish art, a luxury Spain family vacation tour or a romantic honeymoon travel. Life is too short to risk missing out…. Carpe Diem! We are now taking reservations for 2019 private luxury Spain tours and tailor-made luxury travel. Because The Best Spain Tailor-Made Tours Take More Expert Time, Availability is Limited. Contact us for a quick conversation about your luxury dream trip to Spain or Portugal. Magical Spain luxury travel vacation tours are NOT for everybody. First, we ensure we’re a mutually good fit to exceed your high expectations. Our clients enjoy premium Spain private travel packages, for those who desire the best highlights of Spain or the best highlights of Portugal without sacrificing comfort, peace of mind, security or service. As a successful person, we believe you deserve than mass-market mediocrity. Be sure to request our Spain Expert Top 20 Travel Secrets report here. Discover the best of Andalucia with our private luxury Spain tours tailor made for discerning groups of friends or families. Contact us for a quick conversation about your luxury private Spain trip or private Portugal luxury tour. Some options to peruse: Private Luxury Spain Tours, Spain gourmet food & wine tour, Spain Game of Thrones Tour, healthy, active Spain travel, Spain concierge, Spain luxury trips, guided tours of Spain, luxury guided tour, madrid and beyond, Lisbon,Oporto, artisans of leisure spain, private small group tour Spain, luxury family tour in Spain, wellness, luxury honeymoons, active spain trip, highlights of Spain, best custom Spain tours, ziccaso, custom made travel to Spain for Americans, Custom private trip planning, customized tour of Spain.